Another gust sends threads of snow scurrying down the sidewalk toward me. I lean on my shovel and stare at the snow as if staring could make it evaporate. The gust ends, and the snow settles in swirls that look almost like paisley. 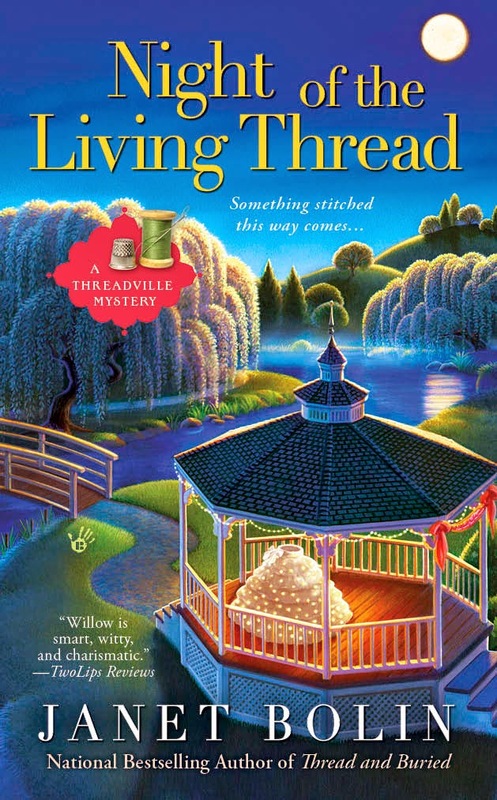 My camera is inside, in my machine embroidery boutique, In Stitches. But even if I had my camera in my hand, I would never catch this pattern on the sparkling, unshoveled snow. The paisleys are replaced by another flurry of low-blowing snow, another evanescent sprinkling of swirls and spirals, and then that design is gone, too. But I'm getting cold just standing here, and though my gloves are warm, I'm afraid I'm losing feeling in my fingers. I push more snow onto the heaps flanking the sidewalk. Finally, although snow is still dancing down the sidewalk in gusts, I put away my shovel, tuck my gloved hands into my coat pockets, and wander. I end up at the Elderberry Bay Conservatory. It's a beautiful building, both Gothic and Victorian. A wealthy timber baron spared no expense to create a delight for his wife. In addition to lining the glass confection with rare tropical plants, he put a small stage at one end of the vast main room for her, with space for chairs for her adoring audience--she'd been a singer before their marriage. Sometimes, she had the chairs cleared out, and she hosted parties, banquets, and balls in her glass-domed pavilion. Candlelight would have glittered and reflected off all those panes of glass. On a cold afternoon like this, the conservatory's glass panes are fogged from the heat and humidity inside. The building is closed to the public today, but even the misty sight of the towering green plants inside rejuvenate me, and I'm sure that, almost before we know it, Spring will return to Threadville. My boots make funny crunching noises on the pathway through the park surrounding the conservatory. The wind has piled the snow into hummocks here and undulating valleys there. The park looks as clean and crisp as the air feels. And suddenly, I know why I like the look and feel of this white, wind-blown snow, and I know just how to spend the rest of the afternoon. I return to my apartment, set up the ironing board, plug in the iron, and I steam press that length of white linen I've been saving for tea towels. As the linen becomes crisp, it releases its own pungent aroma, one that blends nicely with the lavender I'd packed around it. Best of all, my fingers are now nicely warm, and so is the rest of me. And I start thinking of designs that my embroidery machines and I can put on these towels. Paisleys, swirls, spirals, perhaps, and long trails of white on white. 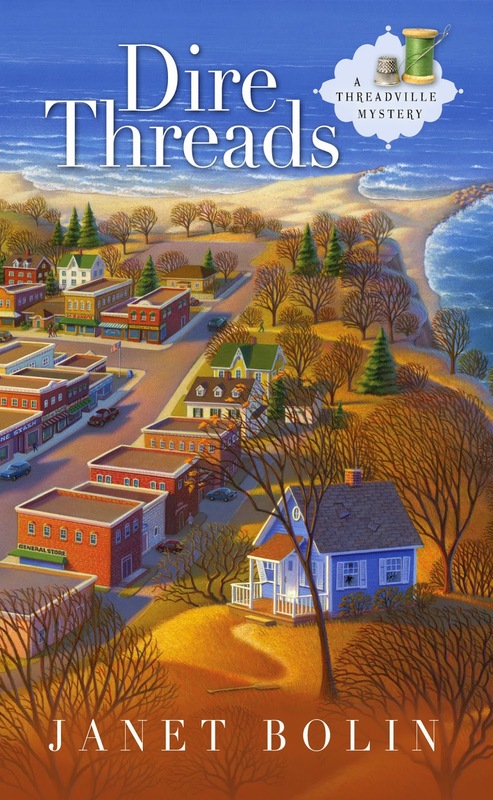 What hobbies do you have that can warm a wintry day? 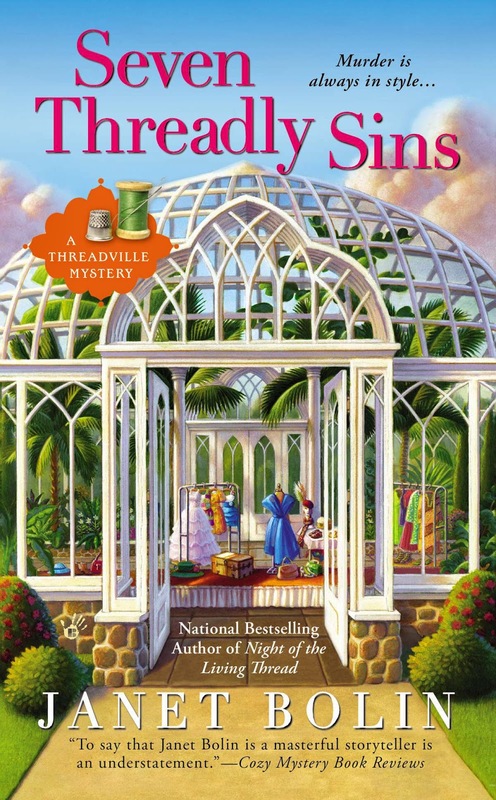 On May 5th, when SEVEN THREADLY SINS shows up on store shelves, you can find out what special event is held in the Elderberry Bay Conservatory, and how Willow and her friends help solve a murder. Pre-order the book from any of these booksellers. Ooh, Nicole, the smell of bread baking is a perfect way to chase those winter blahs! And if you're knitting an afghan or a big, warm sweater, you're almost wearing it while you're working on it. Very cozy! Making soap--maybe something with a warm, spicy fragrance. 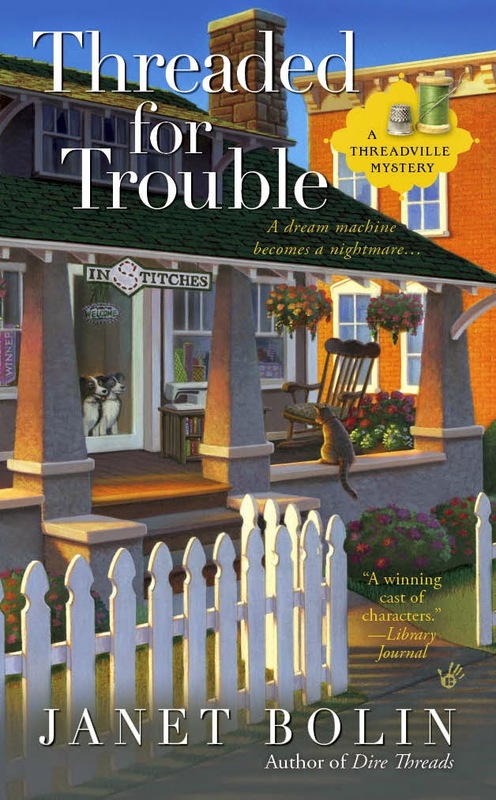 And curling up with a good mystery. |What a great idea, Heather. That warm and spicy fragrance would be wonderful. 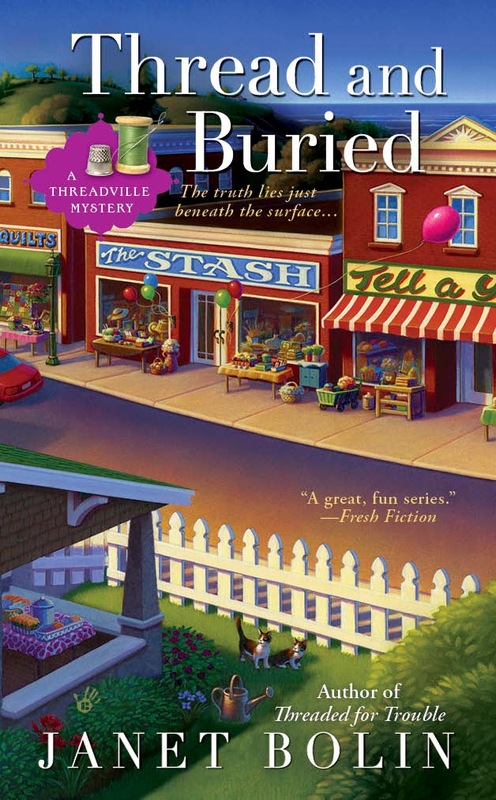 And what could be better than curling up with a good mystery? Your reasons for liking the winter are the reasons I like it! But my husband hates winter so we are in Arizona. I miss winter. I like to work on Jigsaw puzzles and we do work on some here in Arizona but it just isn't the same when it is warm. I also like to crochet. I just finished another slouch hat. It will be nice and warm for my head when we get back to cold and windy South Dakota. I miss snow! Elaine, this morning it was plus 10 when I went out with Sally-Forth and Tally-Ho! Positively balmy! And there was a fresh white dusting that barely needed shoveling. Very pretty! I like jigsaw puzzles, too. Putting them together is sort of like sewing. Your hat sounds lovely and warm!